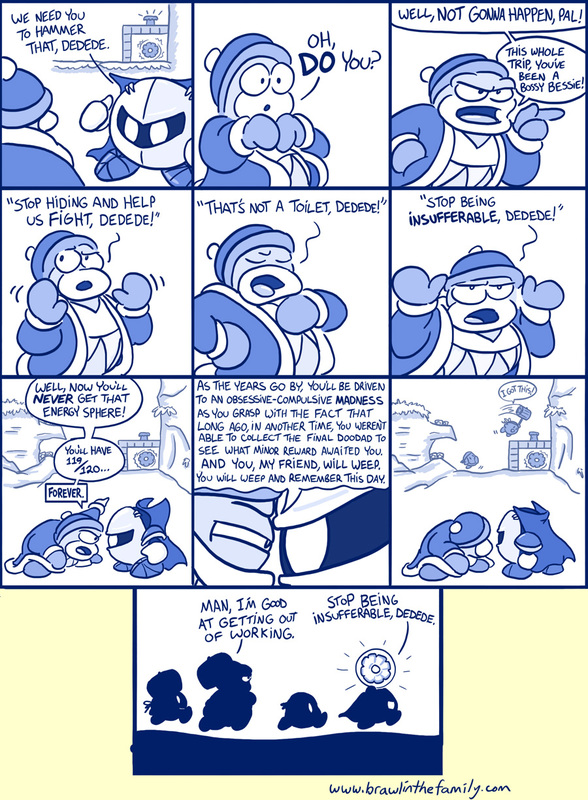 Dedede finds himself in an uncommon position of being needed…and ends up squandering it. Oh well. The expressions were fun to draw. Sorry about the slight lateness of this comic; I’ve been packing up a lot of my stuff lately in preparations for moving out (and also hunting for a place to live after I’m married). Hopefully we can find something soon!